Potential2Lettings was setup by Jon Bieri to facilitate the growing demand from landlords looking for an honest and reliable letting and property management service. Our specialist lettings team provide one of the most comprehensive Lettings and Property management packages that can be tailored to suit all landlords. We go to great lengths to keep all our customers happy and our ambition is to build a relationship with our clients that will exceed the length of any tenancy agreement. Potential2Lettings is a bespoke letting agency that specialise in lettings and property management of residential property. Our core business is lettings and property management in Ellesmere Port, Liverpool, The Wirral and Chester. Our laser focus is on delivering a top class service to all our clients. We work hard to rent properties out quickly for landlords and we make sure that we find the right tenants every time. 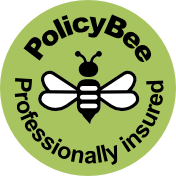 Our policy to each client landlord is the same – be transparent, reliable and reasonably priced. It is for this reason that when a landlord avails of our services once, they never look back and their portfolios continue to grow.We have an extensive knowledge of the Liverpool and Wirral rental markets and are here to help. Property Investment should be about giving you a better life, we deal with ALL ISSUES so you get the benefits of property Investment without the hassle. If you require property management in Ellesmere Port or surrounding areas……. Call us Now for a friendly and no obligation chat, 0151 356 7551.